The social transformation that has occurred has us living and working in what many regard as the final quarter of the age of information in which the knowledge worker is often referred to as the “gold collar” due to their high salaries. Knowledge workers are able to leverage their information in the workplace and in society in careers that have them “thinking for a living.” Their primary task is to garner information that leads to expert knowledge on particular subjects or areas, e.g. to be subject matter experts. Knowledge workers do non-routine tasks of problem-solving that require a combination of creative, diverging and converging thinking. Knowledge workers manipulate language, symbols, and information to create an original knowledge product or to add an obvious value to an existing one. They are paid well for their creativity and innovation. Their ever-present muse is to compare and contrast to identify where there is convergence and divergence in order to find the gaps and plug in their solutions whether these manifest as new products or services, processes, methodologies, models, etc. This is a skill that is often taught in higher education with greater degrees of mastery in certain areas of study. Knowledge workers at the top of their games are set apart by continually looking for ways to increase their skill-set in becoming masterful innovators with the ability to create at will; their quest is endless. Diverging perceptions and thinking allow for the ability to see what is not typically obvious; to find where things splinter off and create new pathways, while converging thinking allows synthesis of information, the bringing together of abstract ideas to form new knowledge or better practices, etc. Current working generations must be taught and trained by their social institutions to be knowledge workers in preparation for the next social transformation of the biotech age, which is well underway. There is plenty of disagreement as to the definition of knowledge workers as its meaning has changed and morphed over the last 50+ years since being coined by Peter Drucker. Thomas Davenport, a scholar and author on the topic of knowledge work, in his book “Thinking for a Living,” shares a definition: “knowledge workers have high degrees of expertise, education, or experience, and the primary purpose of their jobs involves the creation, distribution or application of knowledge.” For the purposes of this article, we will continue under the premise of this definition. It is estimated that 28% to 45% of the U.S. workforce is currently made up of knowledge workers. There are interesting perspectives on how best, if at all, to manage these employees. One employer perspective is that these are bright people with information and thus they must know what to do to fulfill their roles. However, other employers, scholars and HR best practice practitioners would beg to differ, believing that all employees should be managed to some degree to achieve optimal results in their roles. Who is right? Is there a right or wrong answer? Is it industry or sector dependent, or as nuanced as company-specific? Knowledge workers are often said to be time wasters; however, there is evidence that these workers are burdened with internal communications that do not add significant value to their work or the work of others. The time management of knowledge workers has to take on a very different prism than one might use to view and measure the productivity of others working in the mechanized roles of a Taylor-esque environment. The creative process does not adhere to being timed and segmented the way assembly-line workers’ or data entry clerks’ workflow processes can be measured. There is an inherent problem with management models not fitting the context of those they are managing and the work of the knowledge workers. Hence, we have a conundrum that is not so much about whether to manage the knowledge worker, but a question of how. Focusing on the segmented and individual productivity of individual knowledge workers does not accurately measure their output, as many of their gifts are contributed in intangible and sometimes invisible, but “felt” ways that are not easily measured using traditional best practice models. The goal is to get more out of every single contributor to the organization. The “more” that the knowledge worker supplies as “creative sauces” and “strategy mix” is a recipe designed to aid and improve end-to-end business processes. Therefore the focus should be on the ways in which individuals collaborate and contribute as a collective. Yes, individual performance must occur for the collective to thrive; however, the management and measurement might be better viewed as contributions to a dashboard or scorecard that everyone supports. A new design is needed that clears the non-essential, non-value-added busy-work out of the way and off of the plate of the knowledge worker. It is not the best use of their time to return endless emails and attend meetings that are not essential to their role(s). Approach management of knowledge workers from a big picture, inclusionary and collaborative stand point, i.e., share the overarching goal and the whys of your request for their specific contribution. Create linkages between their individual and team or division’s assistance with company objectives; ask for their input and ideas on where the linkages can be found. Always share big picture thinking and allow space for their input on the big pieces and smaller nuanced how-to details. A coaching management model is best and is highly favored over a hierarchical model. A coach leaves room for the captain and players to have autonomy when out there on the playing surface to adjust as needed and to make decisions in the field. Close supervision and delegation of details is not wanted nor needed. To earn and maintain the respect of the knowledge worker, do not attempt to micro-manage or hand-hold; also do not be so laissez-faire as to never check-in and to be completely unaware of their processes and current “to do” items. Think about what the role of a coach – life coach, career coach, sports team coach is and is not, and apply the appropriate balance of technique. 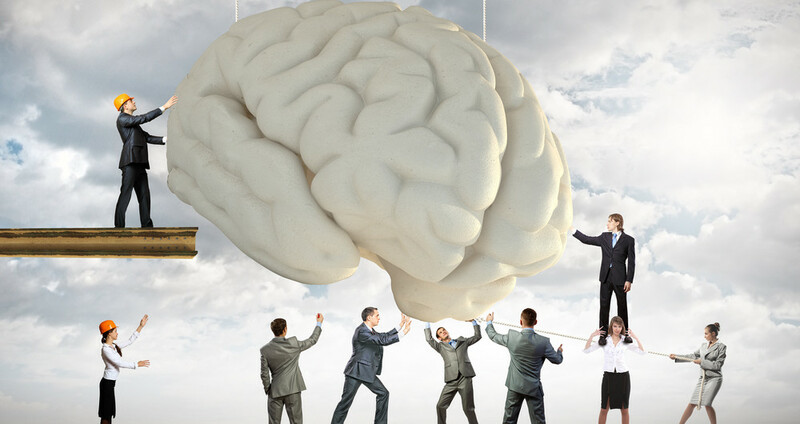 Acknowledge the brainpower and brain trust that is often the core of your business. Do not feel the need to strip knowledge workers of their ego. So long as you do not have a bobble-head sized maniac amongst your ranks who is creating problems or otherwise disrupting harmony, do not let your own ego cause you to minimize the contributions of this vital part of your workforce. Remember you are their coach and coaches do not compete with the players they are coaching to successful outcomes. Check your ego at the door in order to remain a great coach who can help the creative do their best thinking. Find innovate ways to reward this workforce. Because of the difficulty in measuring knowledge work, focus on the final output of the collective unit to which knowledge workers belong. This requires creativity with performance metrics; keen and continuous awareness that quantity may not be the measure, but quality. Get comfortable with learning to measure in other non-mechanized ways. Be flexible in applying any metrics that may shut down the converging and diverging thought processes that are essential for these employees. Create collaborative work-spaces that include physically rearranging furniture so that knowledge workers can (if they so choose) talk to and bounce ideas off of fellow knowledge workers and others within the team, particularly those who will know if these ideas are feasible in production or operations, etc. Do not discourage conversing amongst colleagues, but do coach the process to ensure that conversations remain productive and company goal-oriented. Replace non-essential meetings with brainstorming sessions to address new ideas, problems, challenges, etc. Be cognizant that some knowledge workers like to work alone and quietly in certain stages of their workflow processes and that’s okay too. Ask them how best to manage them individually. Fairness in the workplace is not so narrowly defined as treating everyone the same. In doing so, you may very well be creating unfair practices that do not work for the individual knowledge worker. Discover what motivates them individually and what operational processes allow them the most creativity and productivity as they define it. As you can see, managing the knowledge worker requires a different set of tools than for “traditional” workers. Be sure to have an open mind and work on developing a truly trusting employer-employee relationship for optimal results. For more information about strategies for managing your workforce, contact our expert human capital advisors today! Tamsin is a senior manager at Hureco Maverick; she is also a coffee lover, cruciverbalist, altruist, and advocate for corporate social responsibility and volunteerism.